Remember the story of Cinderella where her fairy godmother transformed a plain pumpkin into a pretty carriage? 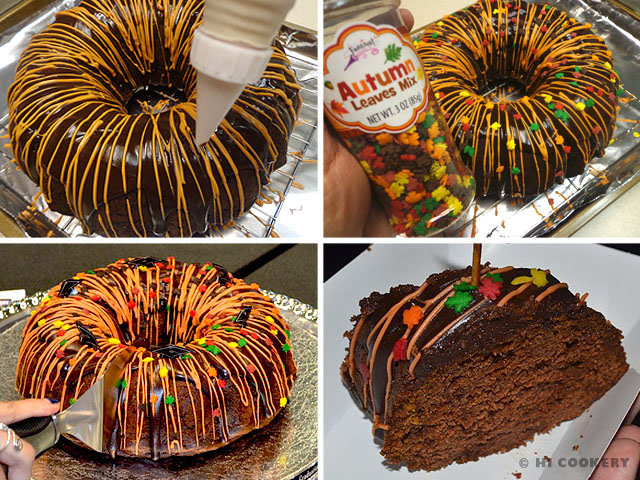 Well, we also made some magic on a basic bundt and dressed it up in the glorious colors of autumn. Although it isn’t as simple as waving a wand, decorating the cake is actually do-able, even for beginners. 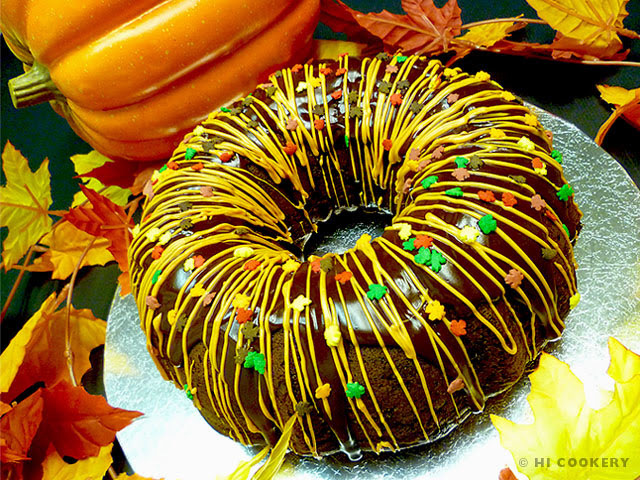 For this particular post, we baked a chocolate pumpkin spice cake, glazed it in decadent chocolate, drizzled it with a pumpkin-colored/pumpkin flavored confectioner’s coating (candy melts) and sprinkled it with seasonal nonpareils (fall leaves). Like Cinderella entering the grand ball, this cake is sure to be a showstopper at seasonal social gatherings as well! 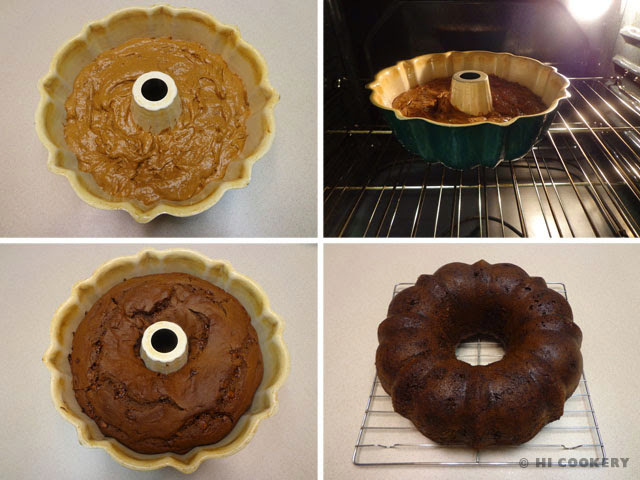 Add your personal and magic touch to a plain chocolate pumpkin spice cake and get creative in decorating it. What a way to celebrate National Pumpkin Day! 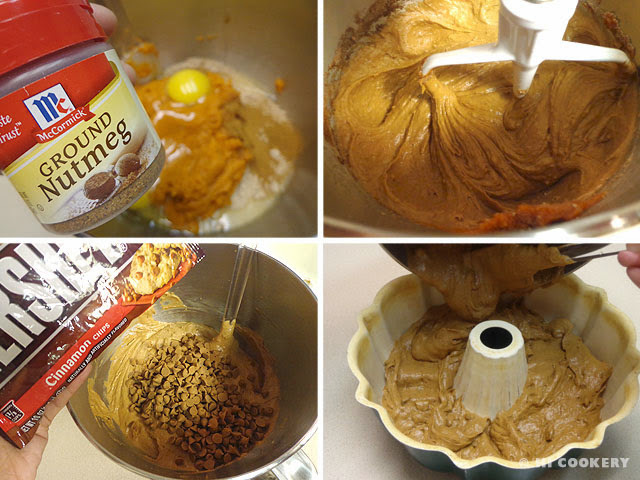 In a large mixing bowl, combine the chocolate cake mix, pumpkin and eggs. Add the cinnamon and nutmeg. Blend well. 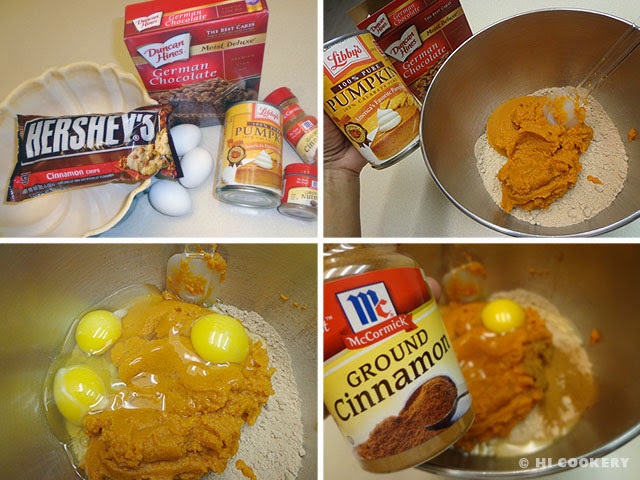 Fold the cinnamon chips into the cake batter. Spread evenly into a greased bundt pan. Bake in a preheated oven at 350 degrees F for 45 minutes, testing the cake for doneness. Remove from the oven. Cool completely in the pan before inverting onto a wire rack over a foil-lined lipped pan. 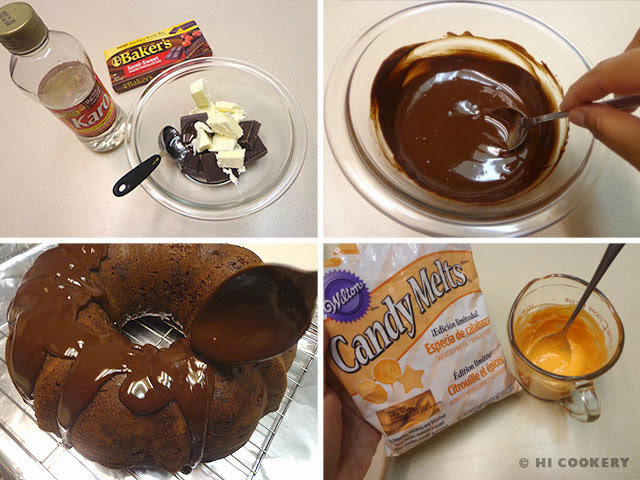 In a microwave-safe bowl, place the chocolate, butter and corn syrup. Heat until melted. Mix until smooth. Drizzle on the top of the cake and let the glaze run down the sides. In a microwave-safe cup, melt the orange candy melts. Spoon in a decorator’s bag outfitted with a small round tip. Being careful not to burn your hand, drizzle on top of the glazed cake in a back and forth motion all around. Finish by sprinkling some colorful seasonal candies on top. Let the topping set. Serve at room temperature. Add a teaspoon or two of vegetable shortening to the candy melts for a thinner consistency. Sprinkles can be black and orange jimmies, Halloween nonpareils or autumn leaves (like we used for this recipe) to reflect the fall flavors and season. Search our blog for other pumpkin recipes.